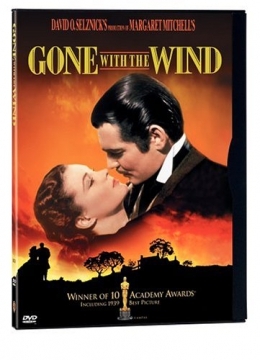 Focuses on the life and loves of the beautiful and selfish Scarlett O'Hara. The story begins on the O'Haras' Georgia plantation of Tara in antebellum days and moves through the Civil War and Reconstruction. 1 videodisc (233 min.) : sd., col., double sided ; 4 3/4 in. Originally produced as motion picture in 1939.